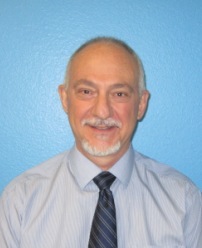 Mr. Fratantoni joins Melmed Center with over 30 years of experience as a school psychologist in Illinois and Arizona. He completed his Bachelor of Science degree in psychology at Loyola University of Chicago and earned his Master of Science degree from the NASP-approved program of school psychology at Illinois State University in Normal, Illinois. Throughout his career Mr. Fratantoni has provided consulting and direct assessment services in a variety of school settings serving children from preschool through high school. He has extensive experience in evaluating children with diverse needs including learning, behavioral, developmental and emotional challenges. Mr. Fratantoni has worked with parents, teachers and students in the formulation of numerous 504 and Individual Education Plans and strongly believes that a team approach is the most effective when helping students maximize their potential. Currently, Mr. Fratantoni's area of emphasis is on serving the psycho-educational assessment needs of students, from upper elementary school through college, who may be experiencing learning, attention and/or executive function challenges. With this thorough and caring approach, Mr. Fratantoni looks forward to collaborating with parents and students in conducting comprehensive evaluations that can provide insight; identify areas of strength and need to be useful in developing practical intervention strategies to enhance growth. Click here for psychology services.